Ground Engineering has been providing essential technical detail on the latest developments in the geotechnical sector in the UK and around the world for 50 years. GE Corporate extracts the intelligence relevant to your business and delivers it using the technologies that suit your organisation best. If you are looking for 10 or more subscriptions, speak to a member of our sales team today on +44 (0) 203 953 2729 or click 'Find out more'. We will contact you before the expiry date of your subscription to ensure that your renewal is taken out in good time, so that you don’t miss out on any news or information from us. If you wish to renew at any other time, please call us on +44 (0)203 953 2151 or log into your online account. Please have your subscription number to hand so that we can easily find your account. This can be found by logging into your account online or on the invoice originally sent to you. If you cannot find it, please contact our Subscriptions Team or call +44 (0)203 953 2151. 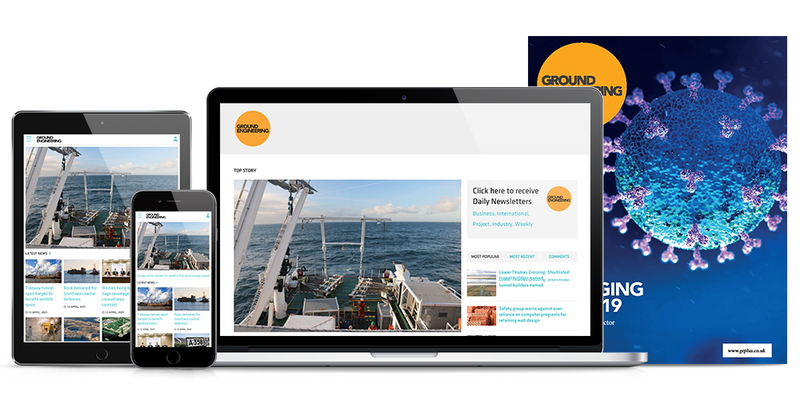 Subscribers have unrestricted access to all content on the Ground Engineering website. You will need to sign in using your email address and password and can do so here. If you need any help, please contact our Subscriptions Team. If you are still having problems, please contact our Subscriptions Team or call +44 (0)203 953 2151. I am a member of the BGA, how do I access the subscriber content? If you have not yet created an account with GE, please do so here. Please ensure you use the same email address you used with the BGA when you create your account with GE. You will also need your BGA membership number to hand. If you have already registered but don’t have subscriber access, please log into your GE My Account and ensure the email address linked to your GE account is the same as the email linked to your BGA membership. If you still cannot access subscriber content, please contact our Subscriptions Team.